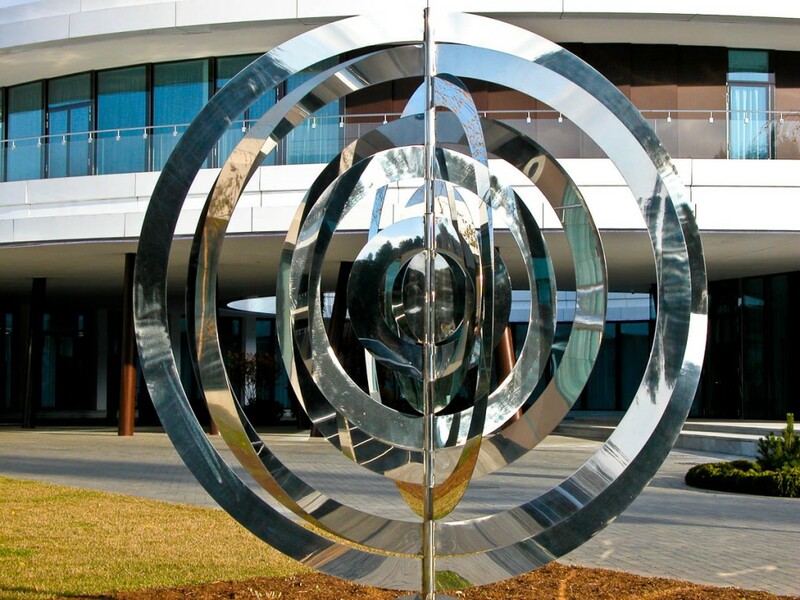 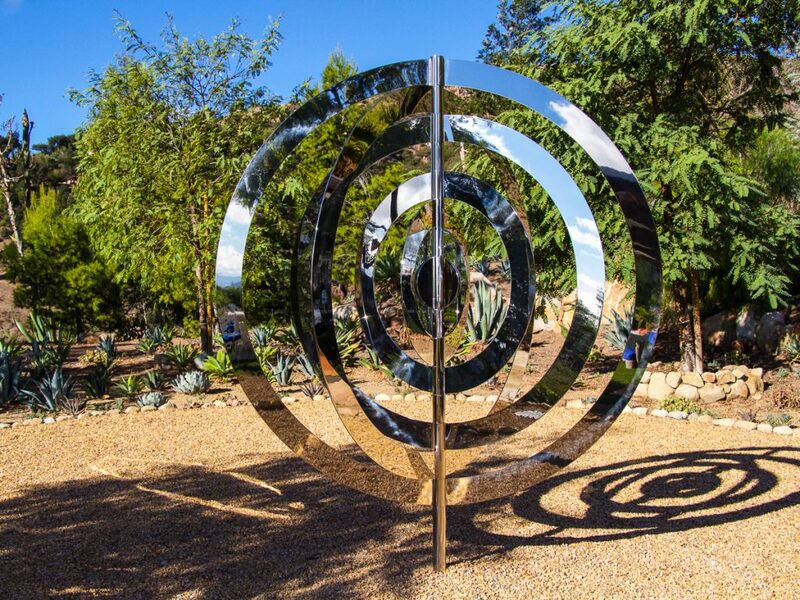 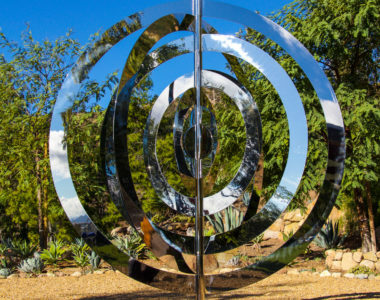 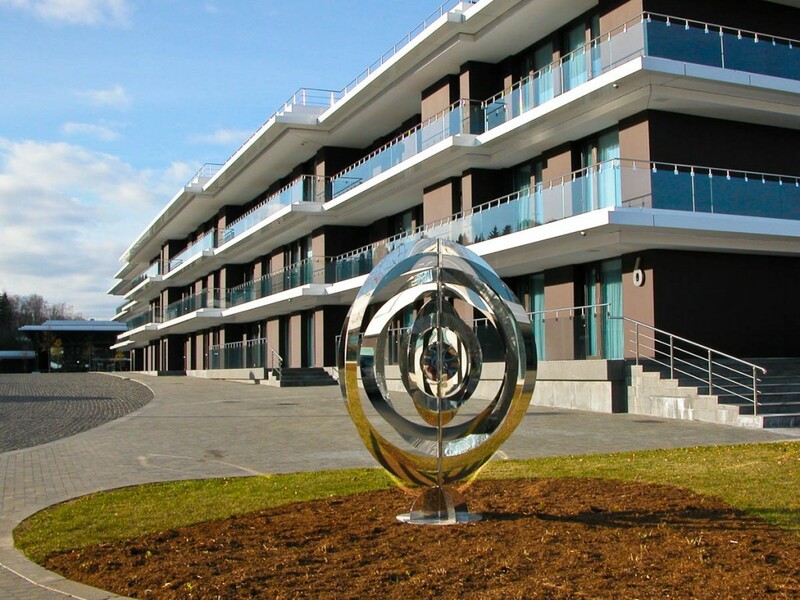 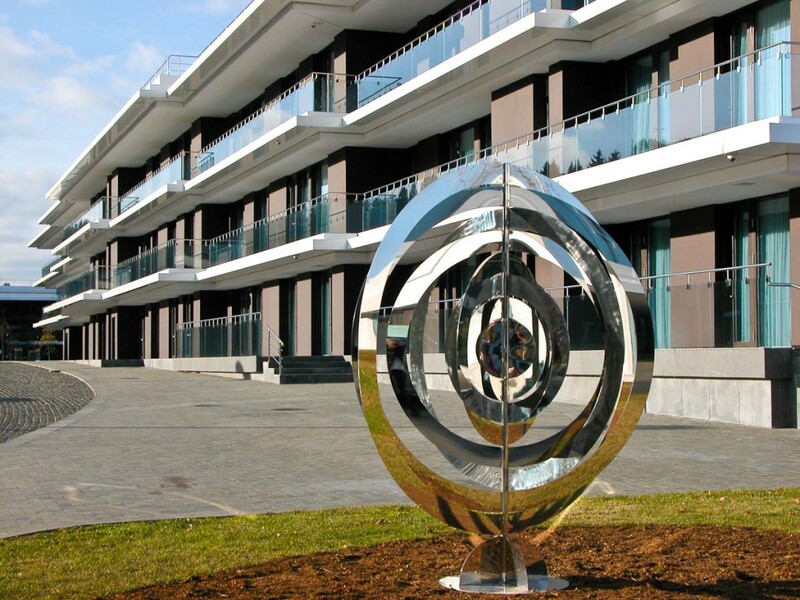 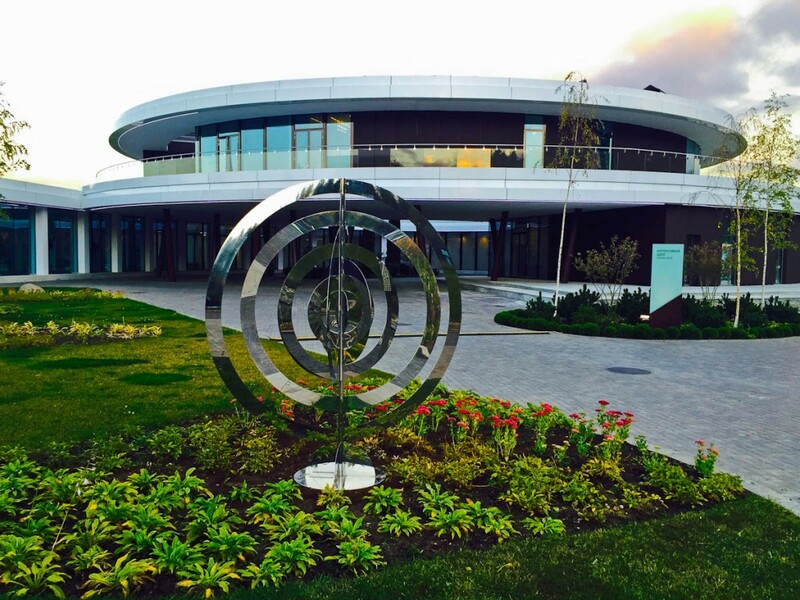 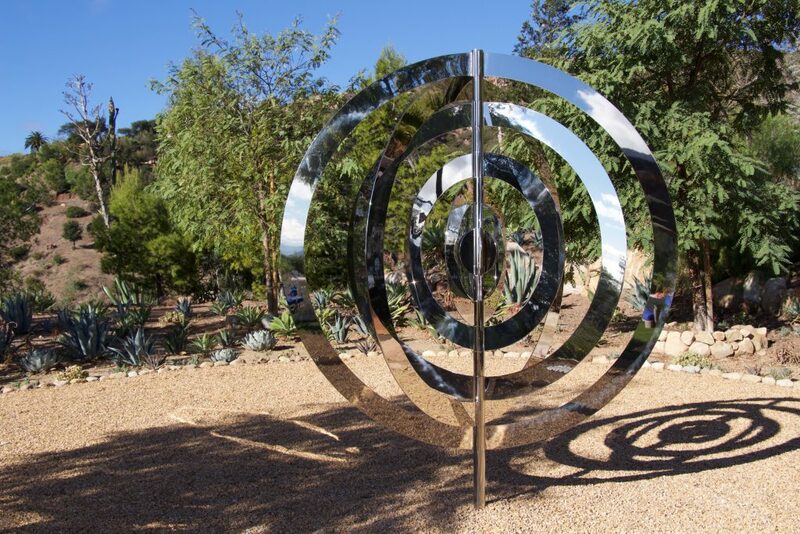 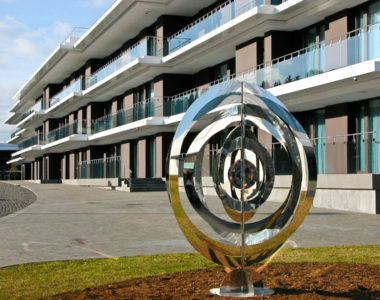 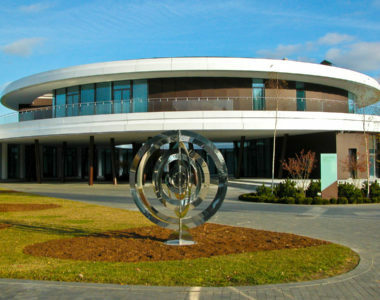 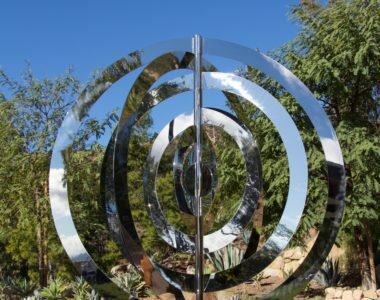 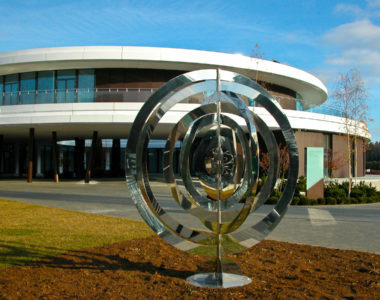 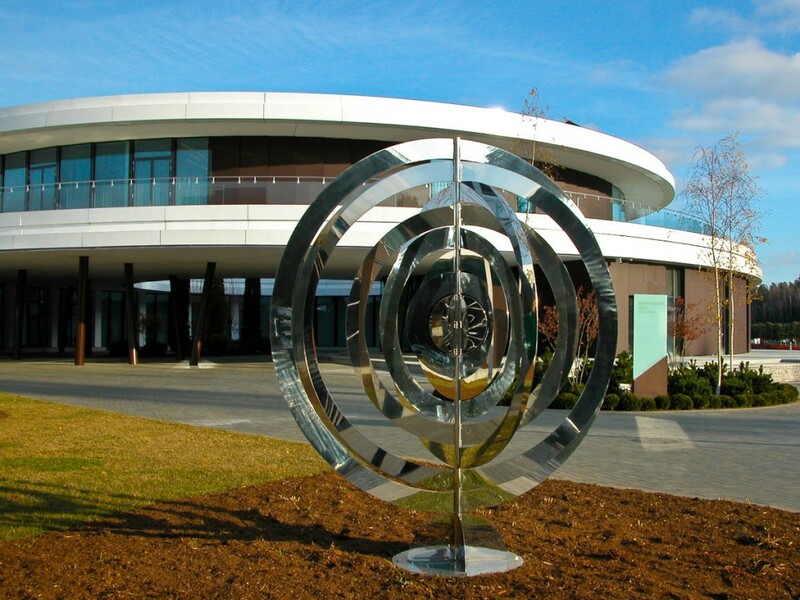 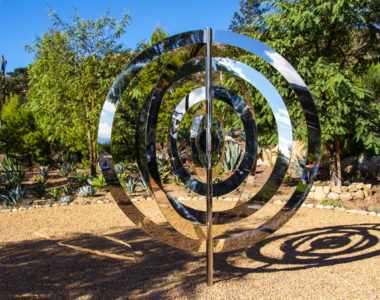 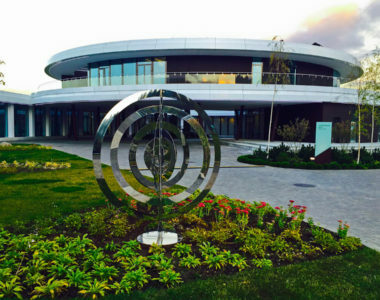 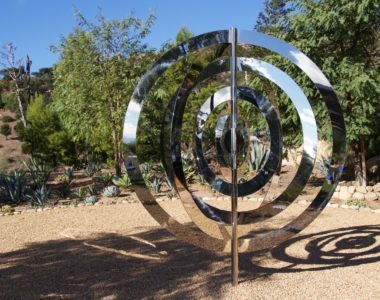 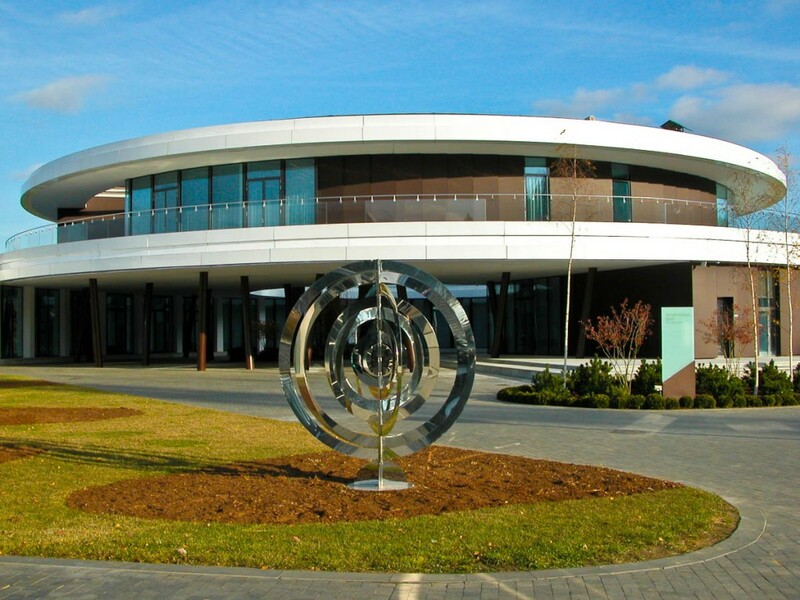 Concentric Circles are made from stainless steel, and they rotate around the central pole gently in the wind, representing the endless repetition of seasonal cycles. 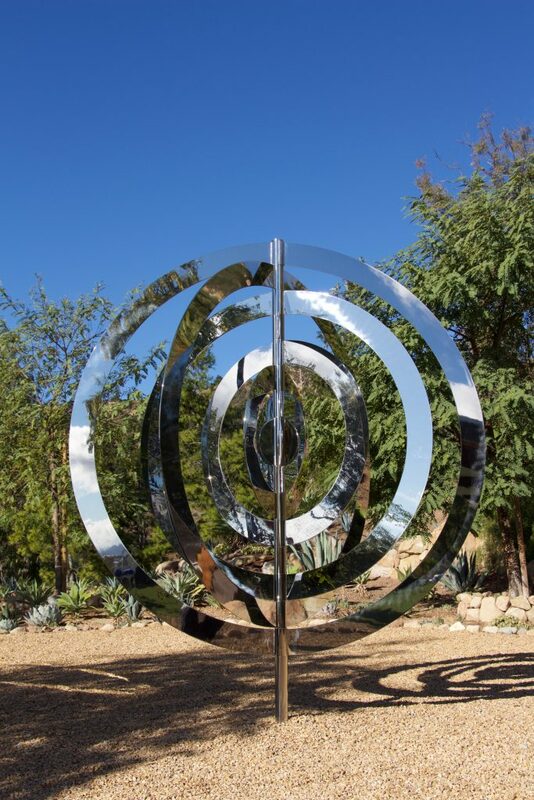 This one stands at around 6ft, although they can be custom built if required. 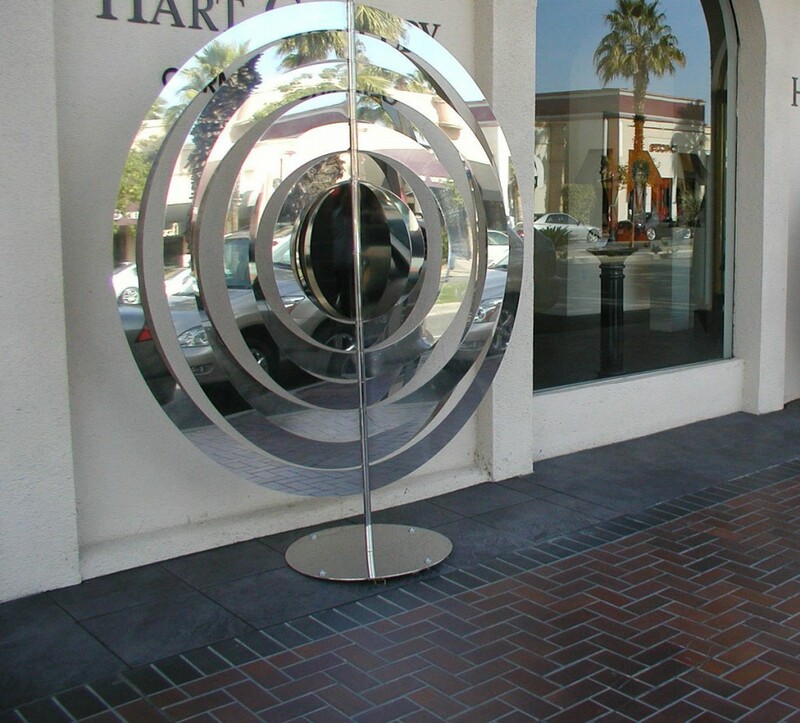 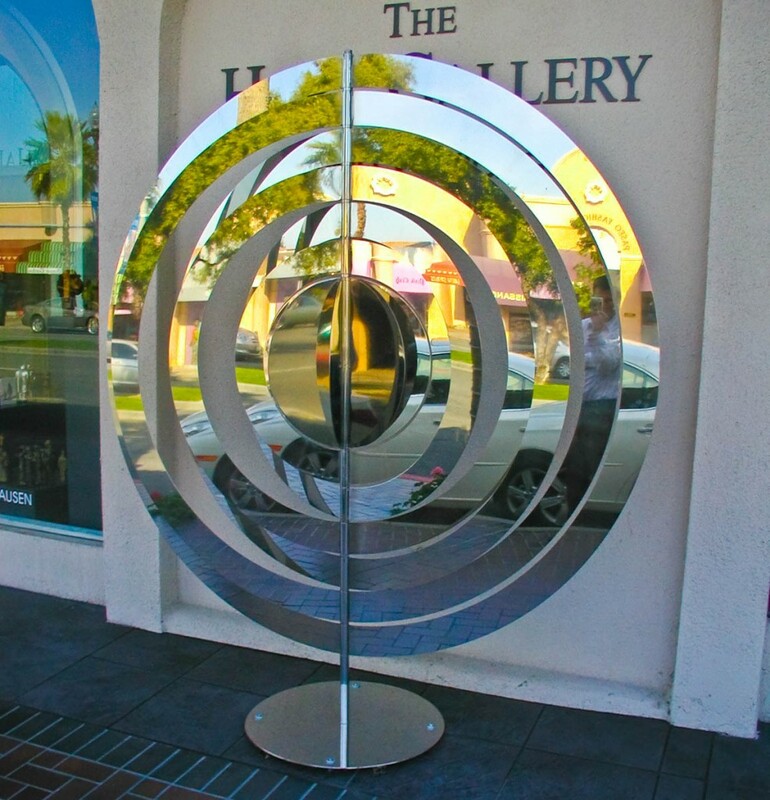 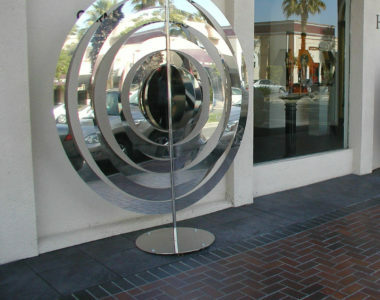 I designed this sculpture for a gallery in Palm Springs. 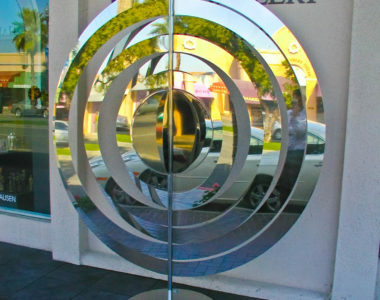 Circles and spheres are such fabulous shapes to work with. 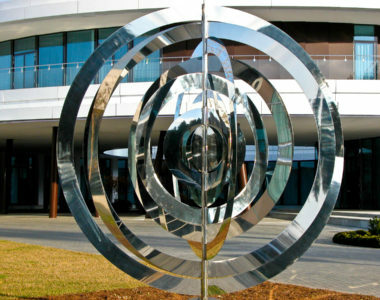 The symbolism involved is endless in my opinion and I could go on all day about what is represents to me. 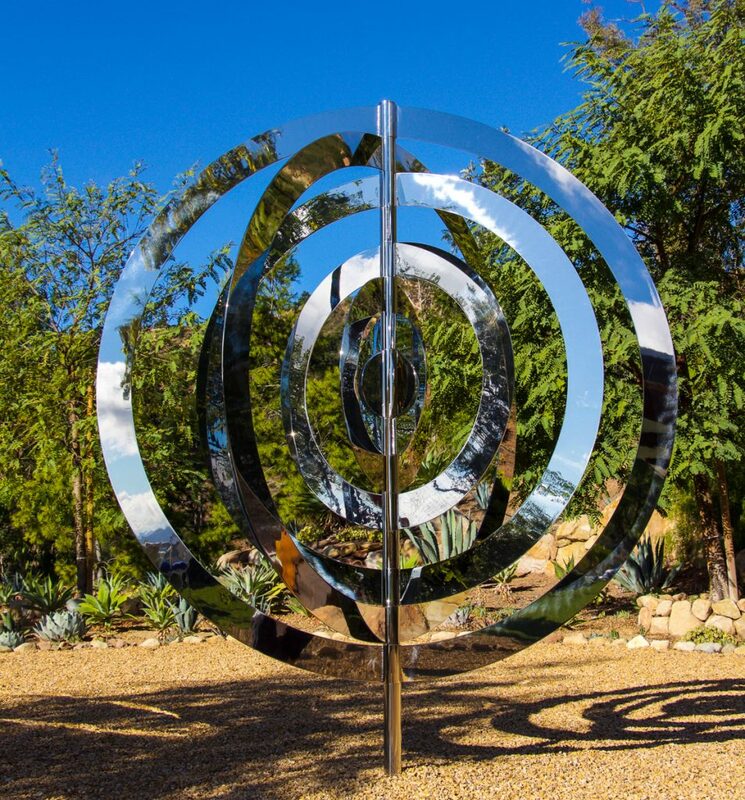 Here I get to have 6 of them twirling away endlessly with the added bonus of the centerpiece which revolves in a different fashion to give it counterpoint.